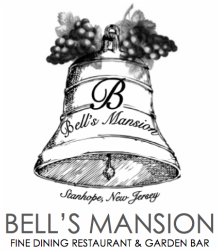 Bell's Mansion is proud of its employees' great service, delicious food and our exquisite ambience. Located in Stanhope,NJ we offer lunch, dinner, and are fully licensed to run several bar areas..
​ Our working environment is professional, fun and safe! We are seeking a qualified Food Runner to join our professional team. The successful candidate will have a strong work ethic and be responsible for expediting food from the kitchen under the Chef's orders. We are seeking a Dishwasher to join our professional team. The successful candidate will have a strong work ethic and be responsible for sorting and rinsing dirty dishes, glass, tableware and other cooking utensils and place them in racks to send through dish machine. Change dishwater in dish machine every hour. Wash pots, pans and trays by hand. Remove trash and garbage to dumpster. Set up or break down dishwashing area. Fill/empty soak tubs with cleaning/sanitizing solutions. Walk and stand during entire shift. Lift and carry racks or stacks of dishes, glassware and other utensils, weighing up to 30 lbs., up to 50 times per shift. Lift and empty trashcans weighing up to 150 lbs., with assistance, up to two times per shift. Work indoors 80%; outdoors 20%. Work in a hot, damp environment. Hazards include, but are not limited to, cuts from broken glass and metal cans, burns, slipping and tripping. We are seeking a qualified Bartender to join our professional team. The successful candidate will have a strong work ethic and be responsible for taking drink orders, properly serving and mixing drinks, delivering food and beverages, ensuring areas are clean and tidy, maintaining stock levels and bar set up. A positive attitude, enthusiastic personality and winning smile! We are seeking a qualified Waiter or Waitress to join our professional team of wait staff. The successful candidate will have a strong work ethic and be responsible for setting up tables, delivering food and beverages, ensuring areas are clean and tidy, maintaining stock levels and restaurant set up. If this sounds like you we would love to receive your application.